The IBEX Seminar Series offers fundamental skills to cutting-edge advanced training for the boatbuilding, design, and repair industry. The full 2019 Seminar Series program will be available by mid-May. Register for an Individual*, Three-Pack*, or Full Conference seminar pass then choose your seminars onsite. 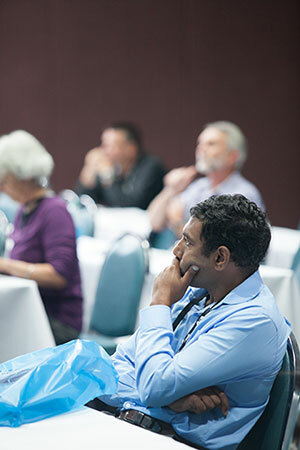 Seminars this year are 45, 60, 90, or 120 minutes long—your purchased seminar pass is valid for any of them. CEUs are available for paid and verified participation at IBEX seminars. IBEX offers 1 CEU per 1 hour of training within the Seminar Series. For instance, a participant who attends a 30-minute seminar receives .5 CEU for that seminar. Professional development credits for the Super Sessions are at the discretion of the sponsoring organization. For questions about the Seminar Series or to submit your seminar topics or complete proposals, please contact Sarah Devlin, Education Director, sarah@nullibexshow.com.